Note: For the fullest experience, I recommend listening to the podcast, as the audio version always contains additional comments and tangents not found in the blog post version. I was at a friend’s son’s bar mitzvah on Saturday, and at the luncheon after the service I sat across from another friend I hadn’t seen in ages. She wanted to know what I’ve been up to since we last spoke, so I explained that I started a consultancy that helps teams and organizations cultivate cultures of creativity, so they can become hotbeds of innovation. It sounds like a reasonable enough question, but if we take a moment to unpack it, it’s based on flawed logic. But not uncommon logic. Embedded in this question is one of the biggest challenges I face as a creativity instigator: the belief that creativity is an inborn talent that one either has or doesn’t have. “Don’t companies just hire innovative people?” implies that creativity is a characteristic like brown eyes, or size 9 feet, or naturally curly hair. You’re either “innovative” and “creative” or you’re not. The reality, of course, is that humans are an inherently creative species, but our innate creativity can either be stifled or helped to flourish by the culture we operate in. Although conventional wisdom would have us believe that creativity is the gift of the lone artist or inventor, toiling away in his (and yes, typically it’s a he) isolated garrett studio or laboratory, several books have come out recently disproving this notion. (See, for example, Powers of Two: How Relationships Drive Creativity, by Joshua Wolf Shenk, and Group Genius: The Creative Power of Collaboration, by Keith Sawyer.) In fact, the most powerful creative work typically comes out of collaborations and partnerships, which allow for creative abrasion, and ideas bouncing around and expanding off each other. Not all groups are beneficial, however. The dynamics of the group make all the difference. Those dynamics — the stories the group tells, how the people in the group communicate with each other, the values and behaviors — all of these make up the culture. Basically, anything that you can boil down into the statement “People like us do things like this,” is culture. And culture can either help creativity and innovation flourish, or it can completely shut it down. At my elementary school I learned to tie my shoes, color inside the lines, and that the sky always needs to be blue and the grass always needs to be green. I learned that the way to succeed is to please a single authority figure (also known as the teacher). I became the quintessential straight-A student, but I did not learn to think creatively. 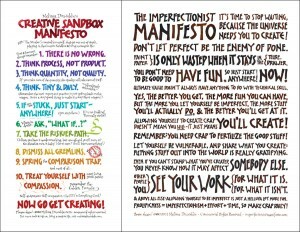 I would call this a culture of perfectionism, not a culture of creativity. When my 4th grade teacher tore my friend Laura’s drawing of a mission up because “missions aren’t orange,” I learned that there were “right” ways of drawing, and dire consequences if you did it “wrong.” You would be shamed in front of the entire class. I became very attuned to this teacher’s moods, but I did not learn to think creatively. I would call this a culture of fear, not a culture of creativity. We had crayons and markers and tons of computer paper for us to draw on in my household growing up. When I was in 2nd grade, my parents thought I would grow up to be an artist, and that was fine with them. We played board games and word games, and my brother and I had lots of free time to play make-believe with our friends. There was a piano in the living room that my mom played and that I was encouraged to play whenever I wanted. We listened to music, and we had music lessons and art classes, and my parents played guitar for awhile, before taking up new instruments in their 50s. My dad always sang and whistled around the house, and together we would make up little operettas about my cat. I still had creativity scars from school, but from my family I learned that art and music were normal, fun parts of life. Contrast this with a client I worked with, whose mother literally forbade her from doing creative activities, out of a twisted sense of trying to protect her from becoming a “starving artists” as an adult. She is still trying to reclaim her creative self. Can you see how my family culture was much more of a culture of creativity than my client’s family culture? Guess what? Not much changes when we become adults. Human dynamics are human dynamics, and culture is culture. Companies have cultures, and each team or group inside a company or organization has its own culture, too. 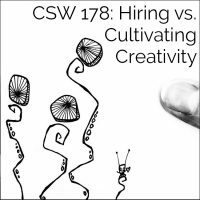 So how do we create a culture of creativity and innovation? Well, Mike Ganino, author of Company Culture for Dummies, said in a recent interview on the podcast, “[culture] all comes down to relationships and communication.” Starting with your relationship with yourself. 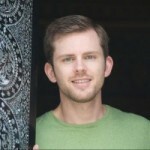 “Even a relationship and the way we communicate with ourselves impacts culture,” says Mike. Which is why it is essential to start at the smallest building block of any team or organization: the individual. The gremlin voices in our heads say things like, “I’m not creative,” “I’m not an artist,” “I’m too old/too young,” “Nobody’s interested in what I have to say,” “I can’t draw/sing/write/act…” and we believe them. For some, the fear and anxiety around activities even remotely smacking of “artistic” or “creative” is extreme. 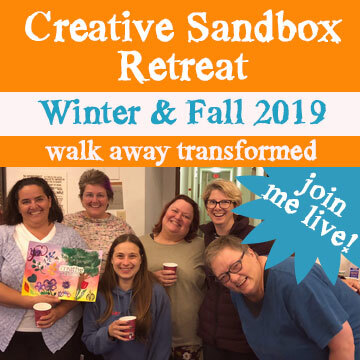 The intervention here is to start to introduce Creative Sandbox Way™ concepts, gently shifting their individual mindset so they can start to acknowledge and claim their innate creativity, and give themselves permission to use that creativity more freely. 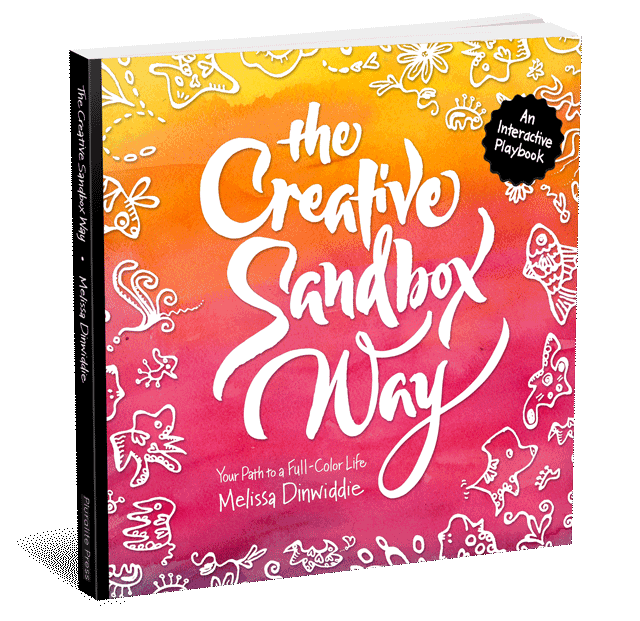 The goal here is not necessarily to get people playing with art supplies (though they are certainly welcome to if they want to, and my book, The Creative Sandbox Way, invites readers to write and doodle in its pages, along with trying a variety of other creative activities). At this point we are simply looking to start a mindset shift. For best results, we’re also looking to invite people to try some kind of simple creative practice that they can engage in regularly, consistent with Guidepost #4, Think tiny and daily. Doodling for ten minutes a day, for example. Or freewriting for fifteen minutes a day. Or taking photos with their smartphone for ten minutes a day. Or improvising new tunes on their guitar for ten minutes a day. Why is this individual tiny and daily practice important for building a culture of creativity? Over time, a creative practice — even a tiny and daily one that feels “stupidly small” — has a profound impact on one’s sense of identity as a creative. One 10-minute doodle session may feel insignificant, but when practiced mindfully, daily 10-minute doodle sessions stretched out over the course of weeks and months can be life-changing. 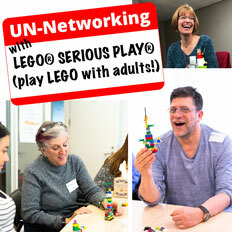 Now imagine we have a team of individuals who are feeling pretty creatively empowered. Let’s further imagine they’re doing some kind of creative activity on a regular basis, and they’re practicing Creative Sandbox Way™ concepts, so anytime they start to feel themselves getting blocked, they know how to find their way back to flow. This is basically the situation my friend from the bar mitzvah posited: a group of “innovative” people, all hired by the same company. But what happens if this team of individuals is seriously lacking in communication skills? Or what happens if they have a boss or team lead who’s out of alignment? Or what if they don’t trust each other? Or nobody’s clear on the values and behaviors that are appropriate, because the stated values of the company are not reflected in the behaviors everyone sees around the office? These are just a few of the kinds of situations the lead to a culture where creativity and innovation cannot thrive. Innovation requires creativity, and creativity springs from the zone of uncertainty. If it’s not uncertain, it means it’s been done before, and if it’s been done before, it’s not truly creative. If we want people to creative and innovative, we are expecting them to dive into uncertainty. And if we expect people to dive into uncertainty, we have to make it safe for them. What makes people feel safe? Knowing they won’t be shamed for trying things. Colleagues and leaders who have their backs. In other words, bring a group of “innovative” people together, help them bond and trust each other (team building, anyone? 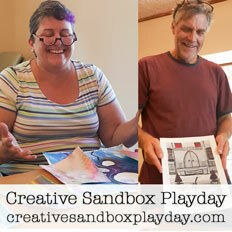 ), and expose them to Creative Sandbox Way™ concepts — using play-based, hands-on activities that will help them actually experience and integrate them, rather than simply have them go in one ear and out the other — to help them start to build in practices to cultivate a creative culture as they move forward. It takes work. Just as cultivating a mindset of creativity takes ongoing work. It’s not a “once and done” kind of thing. That brings me to this week’s Something Cool, which is an example of a culture of creativity at its absolute best. The band OK Go is known for their insanely creative videos. Are they innately more creative than the average human? I would argue no — they simply have a fabulously creative culture, where they have full permission to explore, make messes, and practice every single one of my Creative Sandbox Way™ Guideposts! Not that they are aware that they’re my Guideposts — they have no idea I exist! — but if you go down the list of my ten Guideposts, you’ll find they follow every single one of them. They even talk about playing in a sandbox! 1. Just log into iTunes/the Apple Podcast Player and leave a rating and review. (If you don’t know how to do that, you’ll find step-by-step instructions at creativesandboxway.com/itunes-review). 2. Then copy and paste what you wrote in your review into an email, and send it to me, along with why you want to be featured in a Listener Spotlight. How has the podcast made a difference in your life? 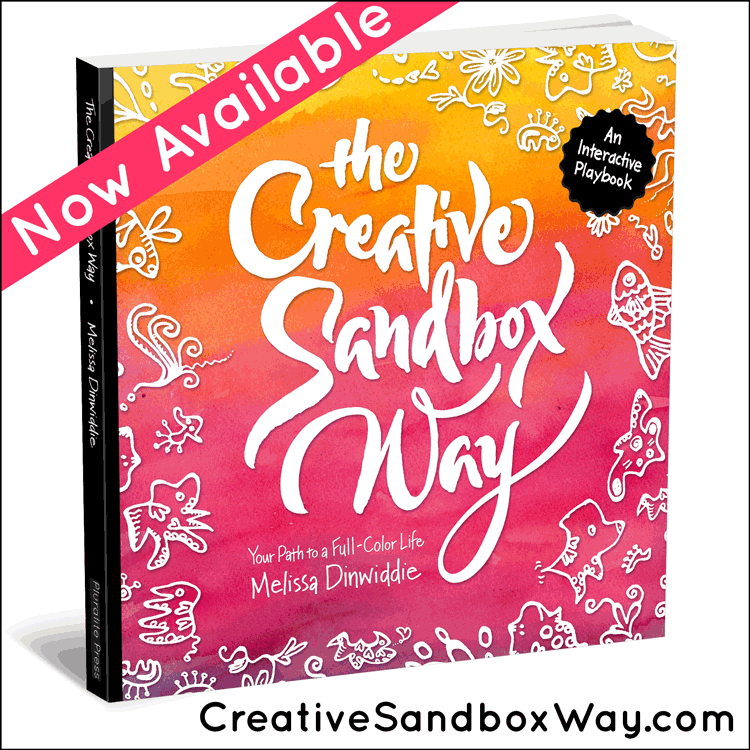 You can email me at creativesandboxway.com/contact. 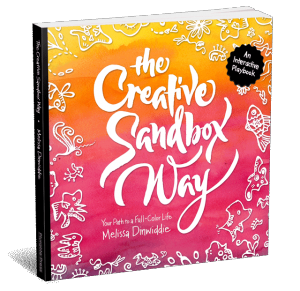 Also, please leave an honest review for the Creative Sandbox Way on the Apple Podcast Player/iTunes!